Artist Sarah Fisher’s life-size painting, “That was Harvey. This is Houston,” has been on display at Memorial Middle School. The giant oil on canvas, which stretches 120-by-192 inches, is painted on eight panels and portrays volunteers helping after Harvey. 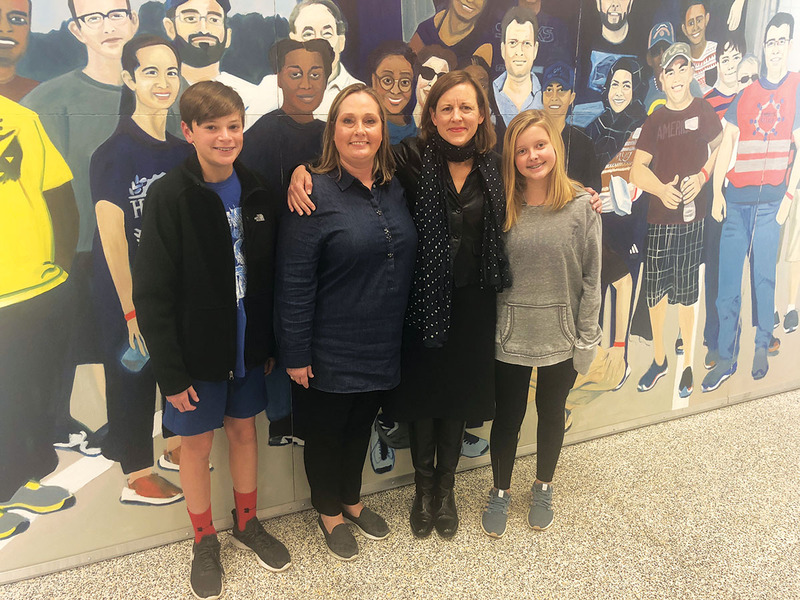 Pictured with the painting are (from left) MMS eighth grader Jack Bartlett, principal Ellen Green, artist Sarah Fisher and eighth grader Ashley Mahood. MMS had 136 students impacted by the storm, including Jack and Ashley. The painting, which took five months to complete, is headed to Strake Jesuit prep school next, and was first on display at Bush Intercontinental Airport.